Journal file photo Current Humboldt County Department of Health and Human Services Director Connie Beck with her predecessor, Phil Crandall, at a press conference last year. The California Attorney General's Office has launched an investigation into the the Humboldt Department of Health and Human Services' handling of reports of child abuse and neglect, and specifically whether it is in compliance with state law. But the department isn't cooperating and has so far refused to turn over a host of documents requested by the state's top law enforcement office. 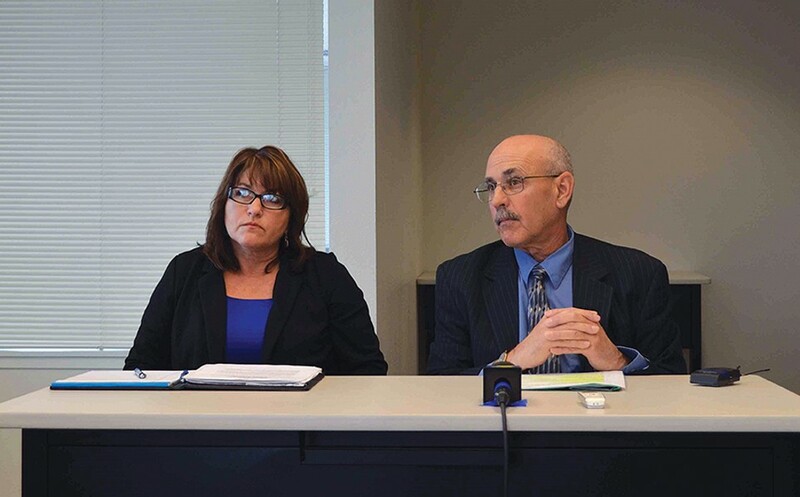 The origins and goals of the investigation are unclear, but a court document filed by the AG's Office describes it as a civil investigation relating to Humboldt County agencies' compliance with California's Child Abuse and Neglect Reporting Act. The state seems to be casting a broad net, as it subpoenaed a host of records from the county in February, including the paper trail documenting every report of child abuse or neglect received by the county from 2011 through 2015 and how each was handled. Additionally, the AG's Office subpoena requests seem especially focused on the department's correspondences and agreements with local law enforcement, mandated reporting policies and its handling of abuse and neglect reports relating to foster kids and native youth. It's not immediately clear if the investigation is in response to complaints, is based on suspected malfeasance or is a compliance check, though it's worth noting that the investigative subpoena lists DHHS as a "witness." It's also worth noting that Humboldt County has astronomically high rates of child abuse, neglect and foster home placements, which fall 50 to 100 percent higher than state averages. "Unfortunately, details of the investigations of child welfare services and the records of the California Attorney General are strictly confidential so the department simply cannot comment on specifics at this time. Nevertheless, we can affirm our commitment to the welfare of children in Humboldt County as well as our determination to work collaboratively with tribes to ensure that all allegations of abuse and neglect are promptly investigated and that families receive culturally appropriate services." A representative of the AG's Office, who declined to be named talking about the sensitive investigation, said it was one of several probes launched by Attorney General Kamala Harris' new Children's Bureau of Justice, which opened last year. "It's a new unit, formed with the purpose of enforcing children's rights and with a particular focus on foster care, education and juvenile justice," the representative said. "[Harris] really wanted to focus on accountability and enforcement gaps in systems that are child serving." While the newly minted bureau has launched a number of investigations, the representative said Humboldt's is the first to go public. That's because Humboldt County has so far refused to turn over the sought records, and county counsel is challenging the Feb. 25 subpoena. On March 17, the county filed a petition for relief with the Humboldt County Superior Court asking it to quash the subpoena, arguing the county shouldn't be forced to comply because the AG's Office wasn't making a specific allegation of wrongdoing; because the records requested are case-specific confidential juvenile records; and because it's the California Department of Social Services, not the AG's Office, that has the broad authority to review records in order to oversee the functions of county child welfare agencies. Filed in open court, the county's petition is a public record, which brought the investigation into public view. The county attached the original subpoena to the county's filing, offering all the details of what was requested. In its filing, the AG's Office argued that the Humboldt County Superior Court simply doesn't have a say in the case as it lacks jurisdiction over whether to compel a witness (the county of Humboldt) to comply with a subpoena or to consider the county's challenge to the AG's constitutional powers and authorities to conduct investigations. In a March 25 hearing, the local court agreed with the state that it doesn't have jurisdiction in the case, so the subpoena remains in effect. If the county continues to refuse to turn over the requested documents, the AG's Office can initiate a proceeding to compel compliance in a superior court of general jurisdiction. "If a mandated reporter, in his or her professional capacity or within the scope of his or her employment, knows or reasonably suspects a foster youth has been the victim of child abuse or neglect, he or she must call a designated agency immediately or as soon as is practicably possible, and submit a written follow up report within 36 hours of receiving the information concerning the incident," the letter states, with a "designated agency" meaning a sheriff's office, police department or the county welfare department. The representative said the bureau conducts investigations based on complaints and tips, its own data analysis and sometimes simply to "confirm compliance with the law." If this stemmed from bureau number crunching, it would be easy to understand why, as Humboldt County sticks out. According to Kidsdata.org, Humboldt County has higher rates of both substantiated abuse/neglect cases and children living in foster care than the state average. According to the site, 1.2 percent of Humboldt's children age 0-17 lived in foster care in 2014, nearly double the state average of .68 percent. Humboldt County also averaged 10.1 substantiated abuse and neglect cases per 1,000 children that year, compared to the state average of 8.7. The disparity is even larger when you just look at allegations, with Humboldt recording 84.8 per 1,000 children in 2015 compared to the state's 55, according to the Child Welfare Indicators Project. Studies have shown correlations between child abuse and neglect and drug and alcohol misuse, so it fits that Humboldt, where all substance abuse indicators are much higher than average, would have high rates of neglect, abuse and foster care placements. 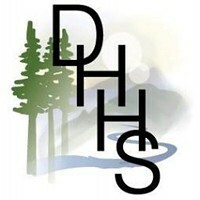 It's not immediately clear how many of Humboldt County's abuse and neglect reports result in arrest or criminal prosecution, as the AG's Office doesn't publish that data — citing privacy concerns — and the Humboldt County District Attorney's Office wasn't immediately able to provide it, as its case management system doesn't sort cases by charges. The Humboldt County jail's data management system also makes it difficult to determine how many people were booked after fresh child endangerment or abuse arrests. Humboldt County Sheriff Mike Downey said his department, like DHHS, has been contacted as a part of the AG's Office investigation. Downey said he wasn't told the target or inspiration of the investigation, but was assured his department is not the focus. Describing the documents requested by the AG's Office as voluminous, Downey said his department has been complying since being contacted by the state agency back in December, turning over requested documents as quickly as it can. Currently, the county has 339 children in foster care — which would amount to about 1.3 percent of the child population — staying in a total of 189 homes, 59 of which are officially licensed by the county. The other 130 are the homes of friends or family of the foster child or homes approved by a local tribe. See the full list of documents the AG's Office is requesting, as well as the subpoena itself, at www.northcoastjournal.com.